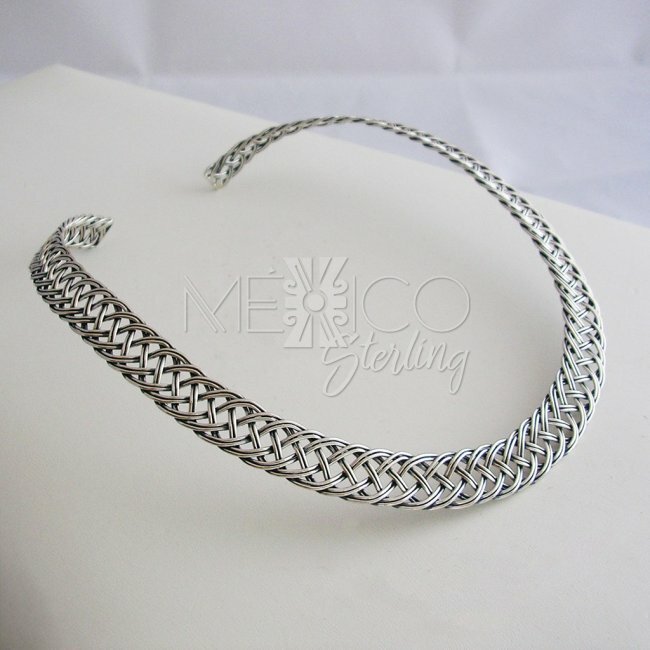 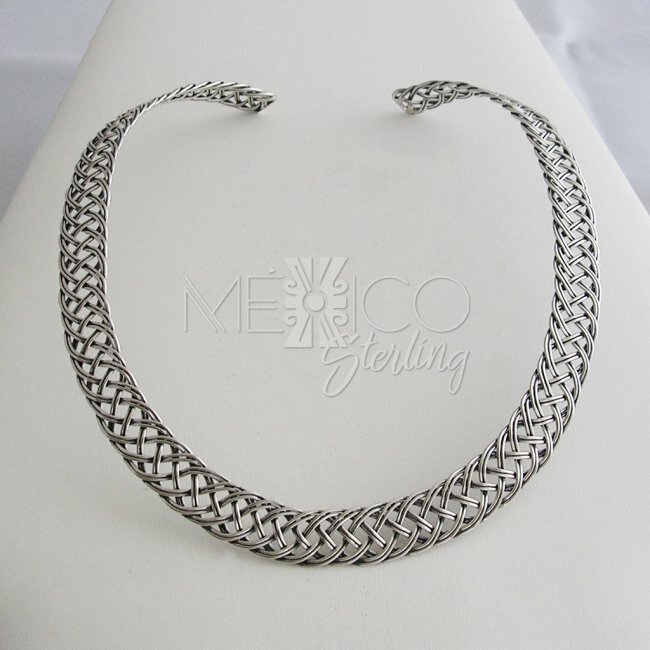 Going Wild Silver Braided Choker - $63.00 : Mexico Sterling Silver Jewelry, Proundly from Mexico to the world. 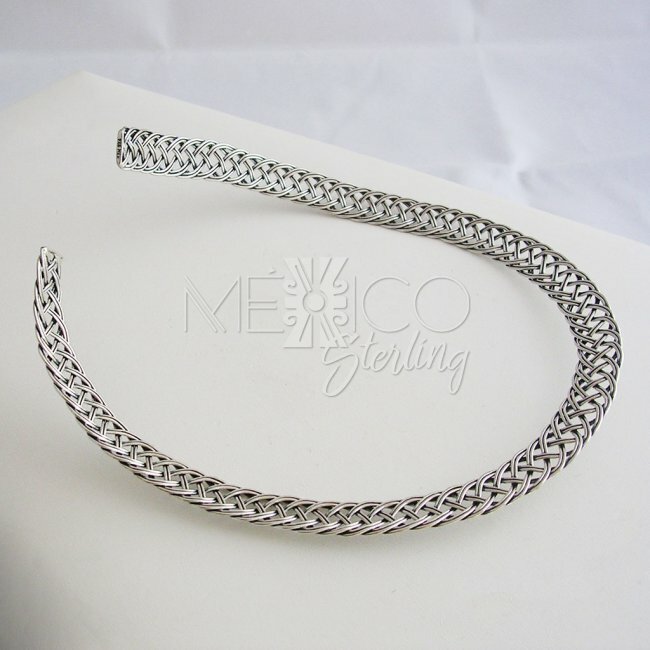 Dimensions: 1/2" wide, Inside circumference: 16"
Beautiful handmade silver choker, with lots of charm and a fun, fashionable look. 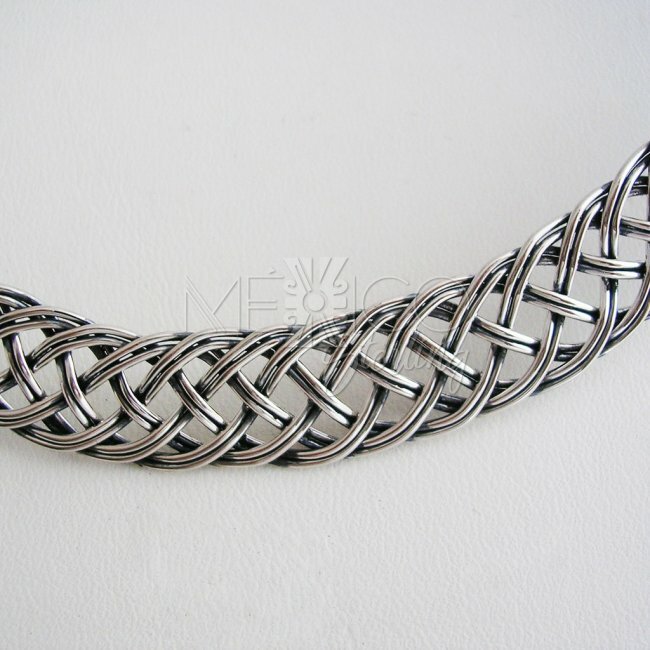 This silver piece is pretty flexible with a sturdy and well crafted built. 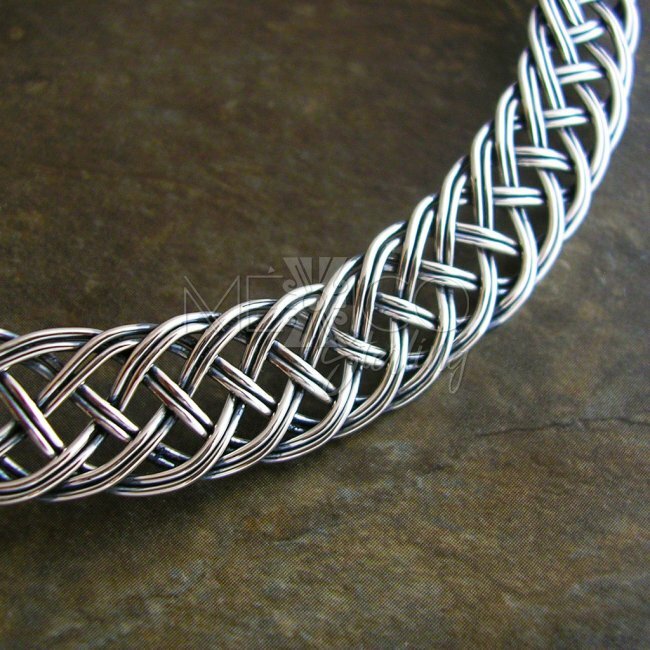 It is also substantial in weight for its size and built, with a total of 29.8 grams. 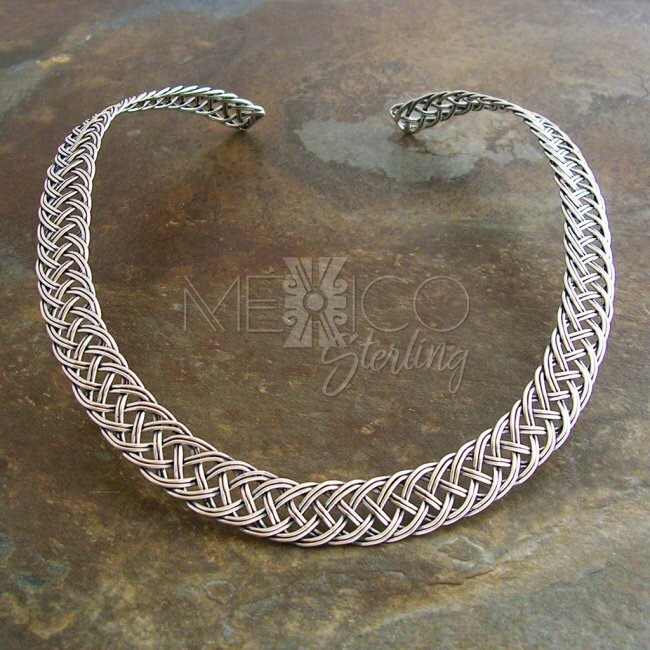 it is a perfect jewelry ornament for a casual, clean style, not need to wear any other pendants or long earrings, this piece does all the job. 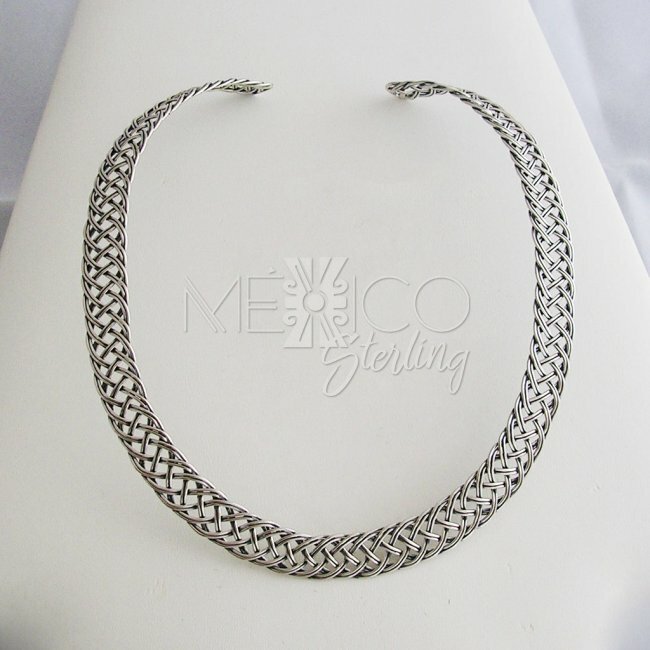 Pleae take a look at the extra pics for more details on this beautiful, fashionable piece of jewelry.